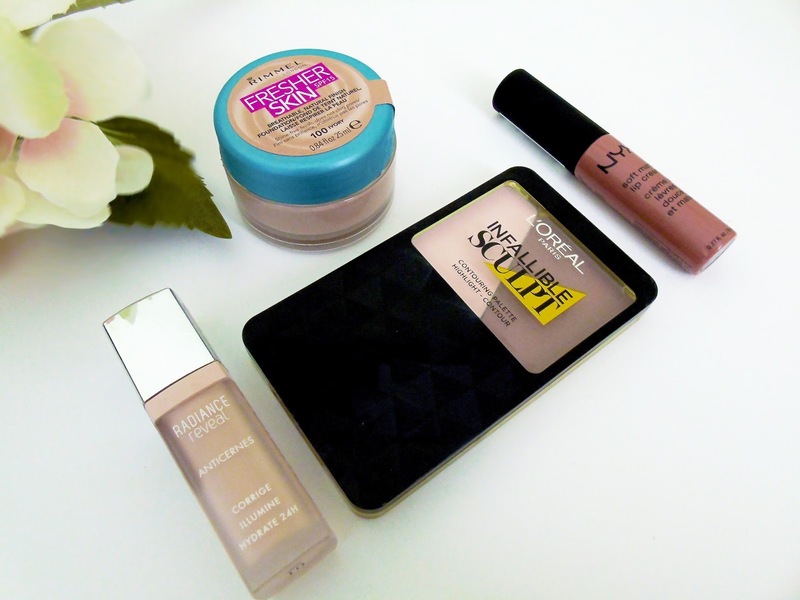 The drugstore seems to be upping its game lately and i have been on a makeup buying ban. I somehow seem to enter the drugstore and come out with a big dent in my bank account, this being said, I always seem to come out with a smile on my face too. As I have not bought anything lately, I am a tad behind with the new releases and thought it was time to update my makeup collection. First of all I purchased the brand new foundation from Rimmel. Drugstore makeup brands seem to have been lacking in new foundations lately so as soon as I set my eyes on this, I definitely had to put it to the test. This foundation is named 'Fresher Skin' and claims to let skin breathe and to not clog pores which sounds amazing to me. The only issue which I considered when buying this was that it was going to have no coverage at all. A quality in a foundation which I look for is to have atleast medium coverage! I have wore this foundation a good 5 or 6 times now and I feel as if I can firmly say that it is a lovely foundation. Surprisingly, it gives a medium coverage and feels so light on the skin. I have wore this all day for each day I have wore it and it has lasted for the majority of the day without coming off in patches like most. The next product was the Bourjois, Radiance Reveal concealer. I originally purchased this as a temporary replacement of the Urban Decay Naked Skin concealer. I had heard amazing reviews on this product a while ago but I could never seem to find my shade (obviously being the lightest possible one). After months of waiting, Superdrug had finally stocked them. This concealer is medium to high coverage which is perfect as i have the worst dark circles under my eyes. The creamy consistency of this makes it so easy to blend out and I will honestly repurchase this now over high end concealers. In all honestly, I bought the L'Oreal infallible sculpt thinking it was a powder contour but I've later found out that the powder version is only available in America! I already have a cream contour which is from the brand Iconic London. Although I love this contour, I find it time consuming and always reach to a powder contour for the convenience. I find that the L'Oreal contour is a lovely shade but does not blend out as well as I would like and I find that I have to put a lot of work in to it when applying it. Finally I purchased the NYX soft matte lip cream in the shade London. I have used the lingerie liquid lipstick by NYX before and absolutely love how it looks and feels. I also found that it lasted for an amazing length of time. I had heard amazing things about the original soft matte lip creams so thought it was about time i purchased one. I love the colour of this lipstick and the colour range in general. Another thing I love is the texture of them because they are just so creamy and moisturising. As they are so creamy, they do not last as long as the lingerie liquid lips which is something I really look for in a lipstick so if you're going for a meal or something along those lines then I would not recommend it. This primer was definitely a random, spontaneous buy. I really under-estimated how good the quality of this product would be and for some time of trying it, I thought it wasn't as good as I think now. The texture of this is like a thick, creamy moisturiser; almost like Sudocrem. 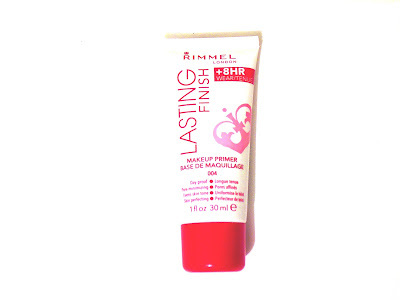 It gives your makeup a sticky base to cling on to and really does the job of keeping it in place all day long. According to Rimmel, this primer makes your makeup last for up to 8 hours after use and I would definitely agree with this statement . Another thing I would say is that it really re-hydrates my skin throughout the day and ensures that my foundation does not stick to my dry patches! Let me know if you have tried this primer or if you have any recommendations for me! First of all, I'd like to explain why I haven't been posting a lot lately! I have been extremely busy with college and work and not had any time for blog posts what so ever. I will be trying to post at least once a week but hopefully more if i can! Now for the review! 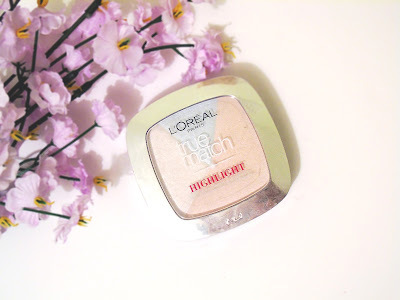 I heard that L'Oreal had brought out highlighters which fit different skin tones which I was so excited for because I am always looking for a gorgeous highlight which looks amazing on fair skin. The shade I picked up was obviously the lightest one but I'm not exactly sure what the shade is called. It is built up of 3 different shades of white pink and icy blue which I thought was interesting. I tend to mix all 3 shades together (which is what I think you're meant to do) and apply it to my cheekbones and the tip of my nose and I absolutely love it! This is literally the brightest highlighter and is basically white which is amazing on my skin because it shows up incredibly. I would recommend this to anyone with pale skin and I am sure that the other shades for other skin tones are just as good. Let me know if you have tried one of these highlighters! Since Benefit have done their new brow collection- I have been seriously up for buying every single product but my bank balance definitely can't handle that! This one was the one which struck my eye in particular. I take pride in my eyebrows and anything which will make them look better, I am willing to invest in. This product is essentially highlights for your eyebrows! First of all, i love the packaging of this! I really love the whole brow collections packaging, it looks so professional. I love how everything is in a silver packaging and is so sleek. This packaging in particular I love, I love the top bit too it and think it definitely stands out. I think I expected this to be a bit more extreme than it is. I expected it to be extremely shimmery and obvious to the eye but it really isn't. Although this product isn't what I expected, I do still like it. It gives colour to it but not too much (definitely buildable) and gives a gorgeous subtle shimmer which you can tell. In all honestly, I don't think that this product is absolutely necessary but if you are a big brow lover like me then it is something which will enhance your brow experience and is definitely a lovely product! 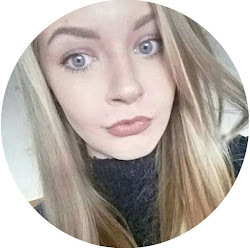 Have you tried any of these Benefit brow products, let me know your thoughts! This palette has been raved about since the day it came out! Everyone and their dog has this palette and I feel like I have been very late on the bandwagon. In all honesty, the only products i have ever used from ABH are the brow wiz's and the dip brow so I really didn't know what to expect from this eyeshadow palette. Since purchasing this palette, I honestly think I have used it everyday. From looking at it, you may think that it looks a bit scary with all the pinks and reds going on but it really isn't. You can create such a natural look with this that still looks stunning. I like to use the top left shade all over as a base and use the 4th shade in called 'buon fresco' in the crease and blend it out. I honestly think it creates such a natural simple look but looks stunning because it is a light purple shade. I have created so many looks with this palette and think it is so diverse. I love the formula of these shadows so much, they really do blend out amazingly! I love how buttery they are and how smoothly they glide on to the lid. The price is a little steep (around £41) but I really think that it is worth it if you're willing to spend a little more or if you wear eyeshadow all the time and will make the most out of your money. I've recently been looking for some new skincare because my skin isn't co-operating at all. Every product I seem to try out works for a month or too and then stops so I always have to change up my skincare regime. I've been really in to cleansers lately and love them for getting the last bit of my makeup off and really clearing my skin of every last bit. I love my Liz Earle Cleanse and Polish (which I did a blog post about) and wanted something similar and this Superdrug home hot cloth cleanser seemed like a good match. I tend to be in a rush to get in bed most nights and like my skincare regime to be as quick as possible! I start off by taking off my makeup with the Garnier Micellar Water which I have loved for a ridiculously long time now. This micellar water takes off the majority of my makeup but I always feel like there is a little bit of makeup left on my face. I then go ahead and put warm water all over my face and then rub some of the cleanser all over my face and massage it in. The cleanser actually comes with a cloth to wipe off the cleanser, so I go ahead and soak the cloth in hot water before gently wiping it all over my face. You can see how much makeup gets left on your face by the colour of the cloth after. I really do feel like this cleanser really gives my skin a deep clean. I also feel like my face is extremely soft after using both the cleanser and the serum. The Serum and Moisturiser is a 2 in 1 which I love because I am always looking for a quick way to make sure my skin is getting its daily routine. I really love the texture of this product and how it feels like it melts into your skin. Unlike other moisturisers, it does not feel greasy at all and I really feel like it smooths out my skin. Have you tried these products or have any skincare suggestions? I have always had a bit of a love affair with highlighters and have quite the collection so when I was planning my trip to NYC, the first thing I thought of was this little highlighter which I have been wishing for, for quite some time now. I have seen Jaclyn use this highlighter on her videos and it always looks so stunning that I couldn't not try it out. I tend to go for more cold undertones like The Balm- Mary Loumanizer which I love but I had heard that this tone sits well with all skin tones! The colour of this is definitely a champagne colour with pink, warm undertones which actually worried me a little because I just presumed that this kind of shade would suit darker skin tones which I definitely do not have! I have purchased highlighters before which have looked so cakey on my skin and enhanced my pores by a crazy amount but this highlighter definitely does not do that! The formula is so finely milled that it looks so natural on your skin and blends in amazingly. The consistency is so creamy and almost has a cream to powder texture, it just glides on your skin so effortlessly. As for the colour, I really do believe that this will suit absolutely anyone and still look stunning!